Thanks to a partnership with the Coastal Conservation Association Texas and Building Conservation Trust, a brand new $1 million artificial reef in the Gulf of Mexico will soon be attracting dozens of species of fish and other sea creatures, with recreational anglers and divers not far behind. 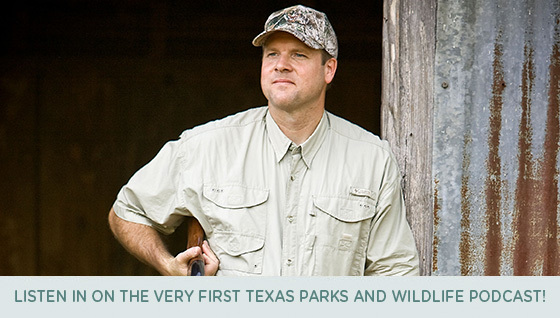 It is all part of Texas Parks and Wildlife Foundation’s Keeping it Wild: The Campaign for Texas. The spectacular new reef is being funded through a Coastal Conservation Association Texas and Building Conservation Trust donation to the campaign, leveraged with public dollars from the artificial reef fund. The 381-acre reef will be twice as big as any other artificial reef in Texas waters and will be located six miles offshore from the Port O’Connor jetties and Matagorda Island. Construction will begin later this year. Keeping it Wild: The Campaign for Texas is raising more than $100 million for transformational conservation projects across Texas, projects like Powderhorn Ranch and this new reef. 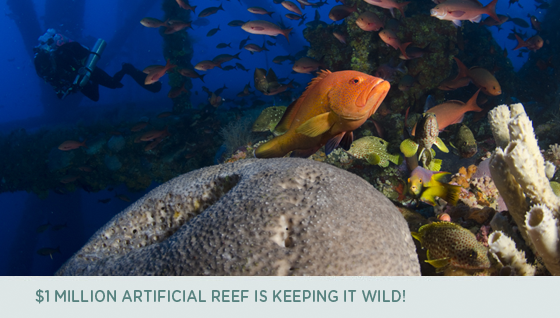 Find out why artificial reefs are critically important to the marine ecosystem. Thanks for your suggestions about what you want to hear on our new podcast. We’re sorting through all of your suggestions and will feature some of them in future episodes. In the meantime, our very first podcast features an interview with the Texas Parks and Wildlife Department’s executive director Carter Smith. He’ll update us on what’s new across Texas, from the impact of spring flooding on Texas’ parks and wildlife, to the next graduating class of Texas Game Wardens, to his perspective on the upcoming longest dove season in decades. Listen in! 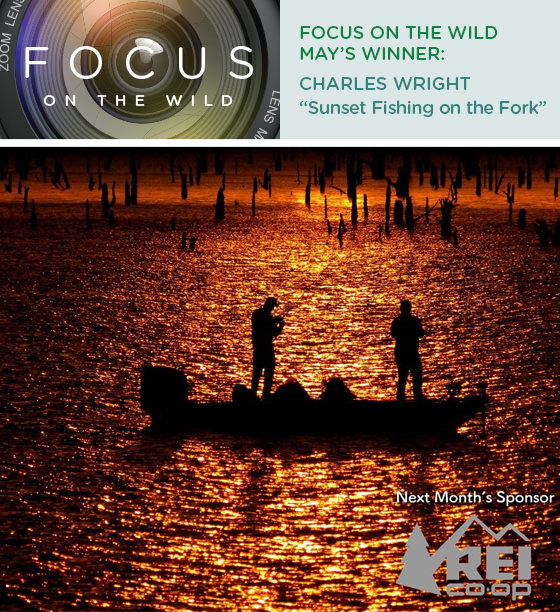 Congratulations to Charles Wright for submitting the winning photo for May! This glorious fishing photo positively glows! Charles Wright of Mt. Vernon was driving over a bridge on Lake Fork when he saw two anglers casting as the sunset. So he stopped, stuck his camera out the window and captured this month’s winning image. We couldn’t agree more! “Sunset Fishing on the Fork” makes us want to grab our fishing gear and head for the nearest lake! The June photo contest theme is Texas views from the hiking trail. This month’s sponsor is REI and they’ve put together a fabulous prize package valued at almost $700, which includes a tent, trekking poles, and lots of other goodies. What are you waiting for? Get out there and send us your best shots of hiking in Texas! To have a chance at winning, be sure your photo fits the theme and is submitted by June 25. Even if you submitted a photo previously, you can still enter this month. Read the contest rules to find out more.